Penmanship is a largely underrated art form which deserves to shine beyond the constraints of the paper. Every stroke – a carefully thought out one – results in a deeply personalised and unique creation. From romantic cursive fonts to quirky script fonts, here are some ways you can bring that penmanship skill out from the paper, and into your everyday life. 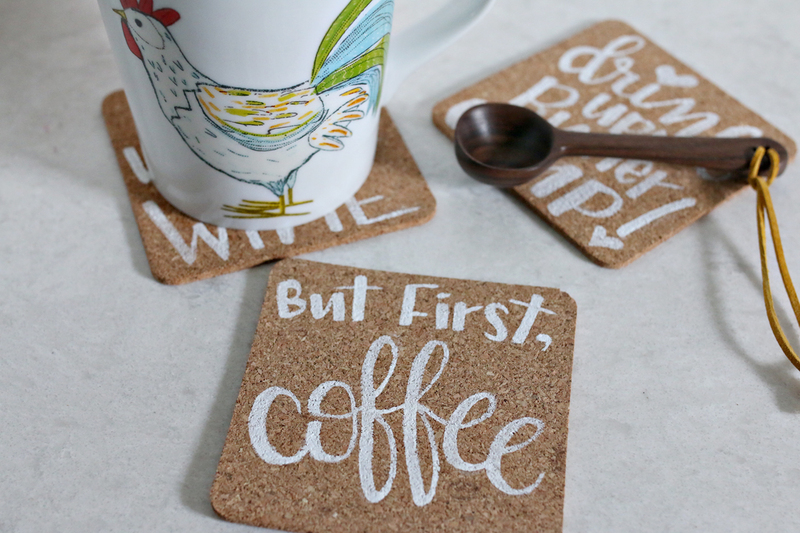 For the times when your cups aren’t resting on coasters, turn them from drab to fab with some adorable quotes. Pencil your design on some cork coasters, fill in the spaces with paint, and seal in the colour with a spray of varnish. 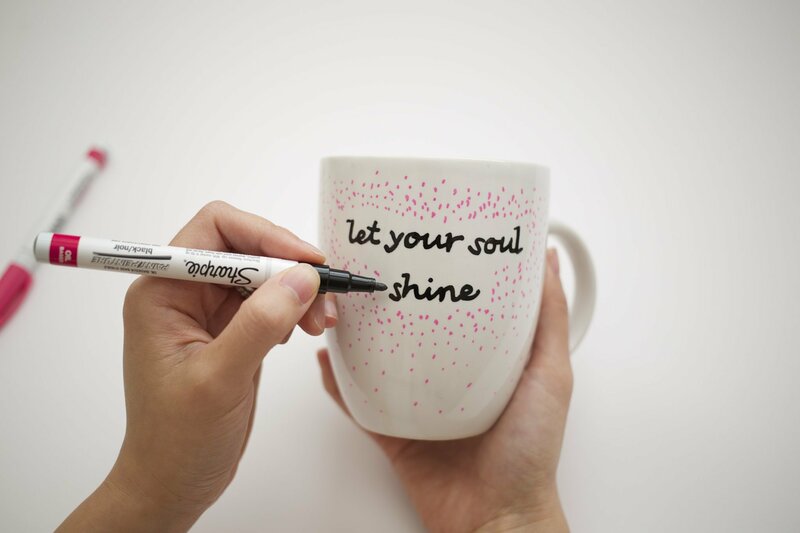 Start the day right with a cup of morning coffee, and a dose of positivity from your personalised mug. All you need is a Sharpie marker. Pen down your motivational quote, leave it to dry for 72 hours, then bake it in an oven for an hour at 180ºC to set the colours. 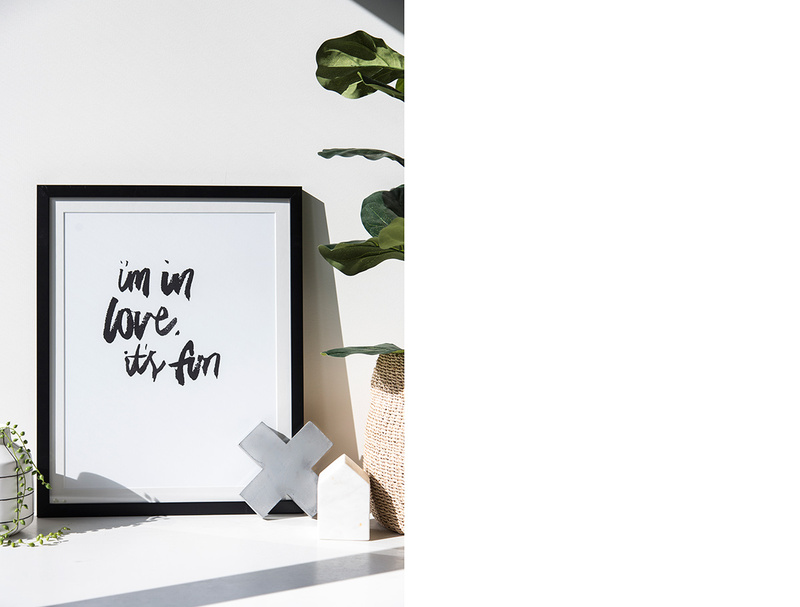 Frame up your favourite quote. Or that song lyric you love. Either way, this is a method to dress up dull walls and remind yourself of what’s truly important. Keep your herb garden in check with labelled pots for easy identification. Coat the exterior of your pots with some blackboard paint, and use a chalk to write down the plant’s name. This just might be more fun than using a labeling machine. Lend some drama to your accessory with this easy craft project. 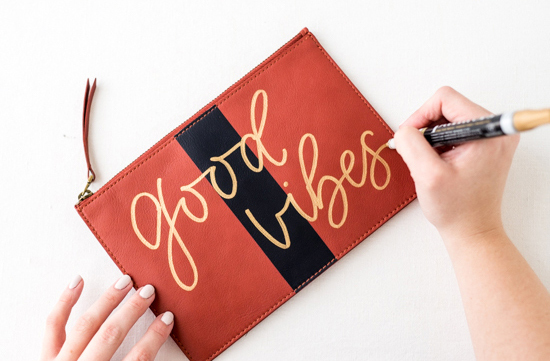 Hand letter on plain accessories – be it your wallet, clutch, or bag – and watch them come alive with character and style. Keep your kitchen cabinet clean with neatly labelled jars. Jazz up plain jars by writing the name of the contents, so you’d always know what each jar is for even when its empty. This article was written by Fabian Loo and originally published on SquareRooms.